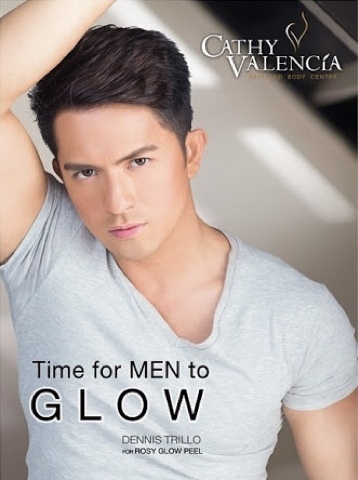 Hunk actor Dennis Trillo is the male hot model of the skin treatment clinic Cathy Valencia. On the huge billboard up in the major roads here in the metro, Dennis showcased his fair, clearer, and glowing skin with a tagline of Time for Men to Glow. Aside from major endorsements, Dennis also showcased his versatility as an actor playing various remarkable roles in movies and television. Right now, he is portraying the title role of Felix Manalo, the icon of the country's huge religious group, Iglesia ni Cristo (INC). Aside from this current movie, Dennis also played other major characters in the movies like "You're Still the One" and "The Janitor" and in the TV series like "My Faithful Husband" and "My Husband's Lover." Starbucks Planner 2016 Coming This November!